Cabin Fever Pre-Reliever! Ticket Giveaway! Cabin Fever Reliever at Terrapin Hill 2019 is coming up down at Terrapin Hill Farm and we are pleased to bring you the pre-party! 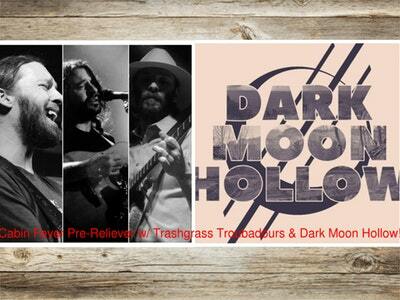 Join us along with The Trashgrass Troubadours and Dark Moon Hollow for a throw-down that will not be soon forgotten! Every paid admission will get 1 raffle ticket and a chance to win a FREE ticket to Cabin Fever Reliever at Terrapin Hill 2019! Dark Moon Hollow is a five piece bluegrass band with members hailing from Southern Indiana to Lexington, Kentucky. Originally just a group of good friends that enjoyed playing in living rooms and kitchens late into the night, their constant progression both individually as artists and as a group propelled all five members to take their intimate, tight-knit jams to a more professional level. Dark Moon Hollow's sound embodies genres of traditional bluegrass, classic rock/country, folk, and Americana. While no effects pedals are used in order to maintain their traditional sound, they manage to bring a heavy yet clear tone with each and every note to bring their audience a fresh take on a classic genre. 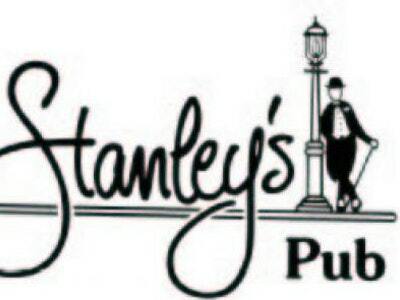 Come on out and have some drinks and listen to some bluegrass. Adam Copeland of the Rumpke Mountain Boys!